In this week's broadcast, as bankruptcy looms large over Illinois, economist and author Jerry Robinson exposes the underbelly of America's increasing financial woes - and offers us a positive plan of action. Also, Tom Cloud reports on recent news in gold and silver. The bankruptcy of our nation is clearly evident in the current crisis facing Illinois. 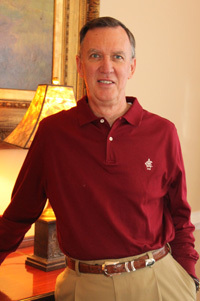 Jerry Robinson reveals our individual culpability in America’s spending problem with surprising and disturbing statistics. Americans owe $1 trillion (with a “T”) in credit card debt! The “Amazon” effect: Where’s the inflation? What can you do to solve your own financial problems? JOIN US: TRY ANY OF OUR MEMBERSHIPS COMPLETELY RISK-FREE! With the best satisfaction guarantee you will find on the web. Is a new Fedcoin in our future? Record-breaker: The stock market is at over 30x earnings! Call 800-247-2812 now for the best prices on gold and silver coins and receive Free Shipping & Insurance when you mention FTMDaily. 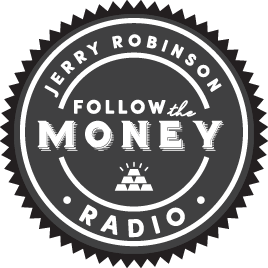 Jerry closes out today’s show by challenging us to closely and honestly examine our use of money. Are we spending it on what is truly important to us? Beginning a charitable giving plan will provoke us to think about our money in a brand new way.